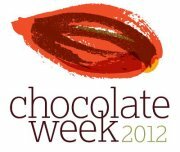 Chocolate Week London 2012 | WHY DO WE LOVE CHOCOLATE? ← Perfect note from Australia. These are fantastic-looking chocolates! Are you attending the event yourself? For anyone who can’t quite make it to London or Kortrijk for that matter, are you willing to ship some of your chocolates overseas? Have a nice week and take care! thanks for this nice compliment. The Chocolate Week – Chocolate Unwrapped, is a very important event for me, but the thing is for me its very difficult to attending this event, this is why Chocolate Ecstascy Tours (Jennifer Earle) is attending for two days on this fair. She is very devoted to fine chocolate and so she does sell some of my products. If it should be that you are not in the position to visit the Chocolate Unwrapped, there is always a way to buy products by mail. The best way is to contact me on info@patisserievercruysse.be, this is my professional mailadres for shipping abroad. If ordering some of these chocolates by mail is indeed possible, that would be great. I suppose not all would ship well, but hope something can be worked out. I will get in touch via that mail address, then.